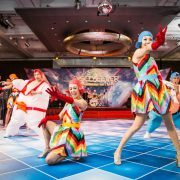 AmCham Taipei held its Annual General Meeting on November 21 at the Shangri-La’s Far Eastern Plaza Hotel. Members and guests gathered to vote for the upcoming year’s Board of Governors and changes to the Chamber’s Articles of Association. 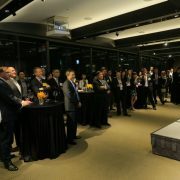 More than 160 AmCham Taipei members and guests attended the event, including chief executives and senior management-level officers from various industries. 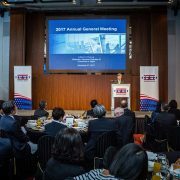 Opening the session were remarks by AmCham Taipei Chairman, Albert Chang, who thanked the Chamber’s current Board for their services and introduced the board candidates for 2018. 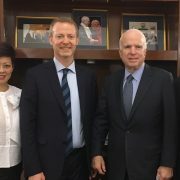 Director Kin W. Moy of the American Institute in Taiwan (AIT) also spoke, expressing his appreciation for the partnership with AmCham on policy issues, regulatory matters, and programs that support bilateral economic relations between Taiwan and the United States. 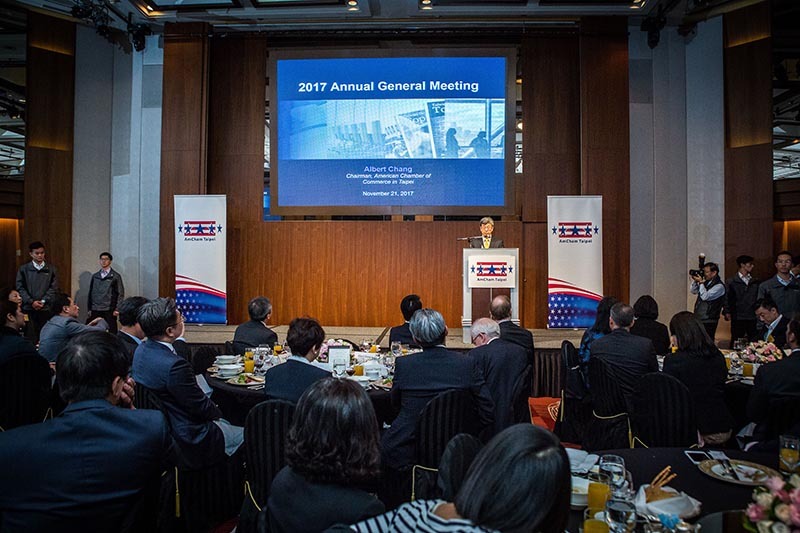 Before introducing Vice President Chen, Director Moy touted the expansion of the United States’ Global Entry program to residents of Taiwan and noted the simultaneous opening of Taiwan’s e-Gate program to U.S. passport holders. 5+2 Innovative Industries & New Southbound Policy to promote domestic and regional prosperity through the Asia-Pacific. 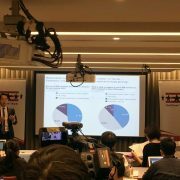 The 5+2 Innovative Industries initiative focuses on green energy, biomedicine, smart machinery, national defense, and an Asian Silicon Valley, as well as new agriculture and the circular economy. 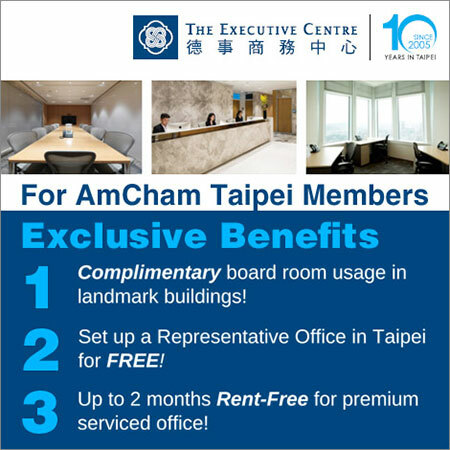 At the same time, the New Southbound Policy will benefit businesses in Taiwan and provide opportunities to develop new markets. 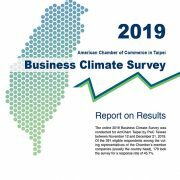 Taiwan-US bilateral trade agreement to enhance partnerships and foreign relations efforts by reducing trade barriers and facilitating more investment, while creating more job opportunities. 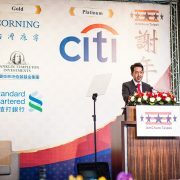 Albert Chang summarized the Chamber’s achievements and progress on resolving key issues over the past year. View the full presentation below. 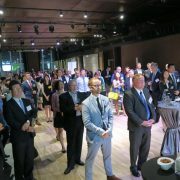 AmCham Taipei conveys our sincere thanks to all of our voting members who attended and offered their support. With your help, we reached a quorum and held a successful election. 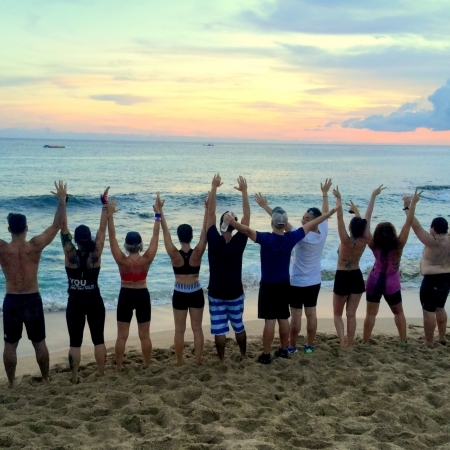 The Board structure page on our site will be updated in January to reflect the status of incoming and outgoing Board members. A brief summary of results follows – you may download the complete announcement by clicking here. Edward Shober, Versum Materials Taiwan Co., Ltd.
Petra Jumpers, Eli Lilly and Company (Taiwan), Inc.
Joyce Lee, Bristol-Myers Squibb (Taiwan) Ltd.
Timothy John Shields, Cigna Taiwan Life Assurance Company Ltd.
Congratulations to the winning candidates, and heartfelt thanks to all who supported the Chamber by participating in the election. 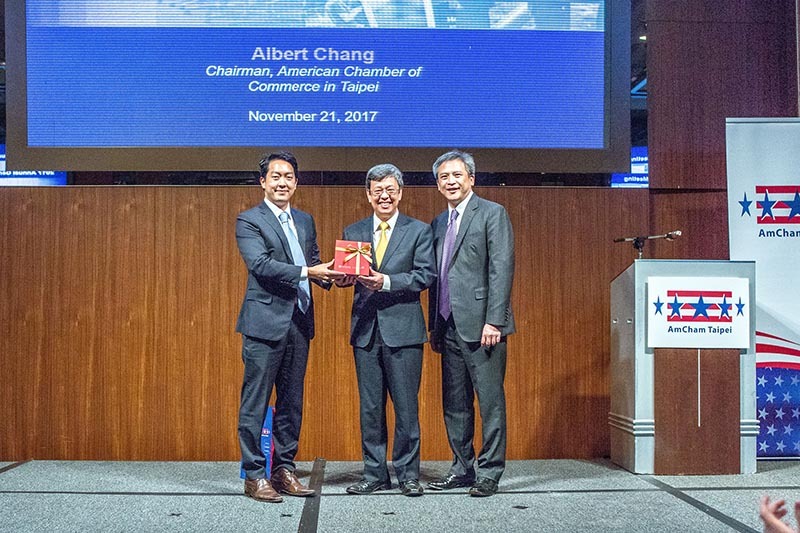 Chairman Albert Chang presents a gift to express the Chamber’s appreciation to President Andrea Wu. 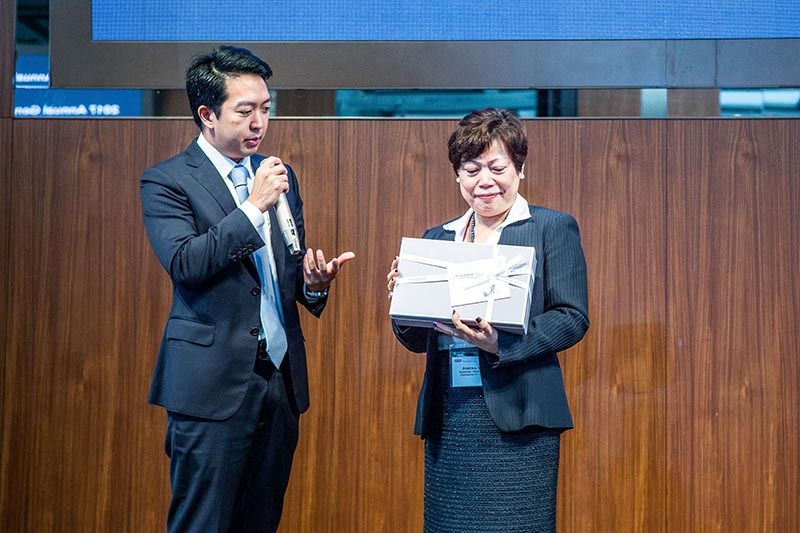 The Annual General Meeting was also an opportunity for the Chamber to present a gift and express its appreciation to Andrea Wu, who will be stepping down as president on December 31 after more than nine years in the position to devote time to family and travel. 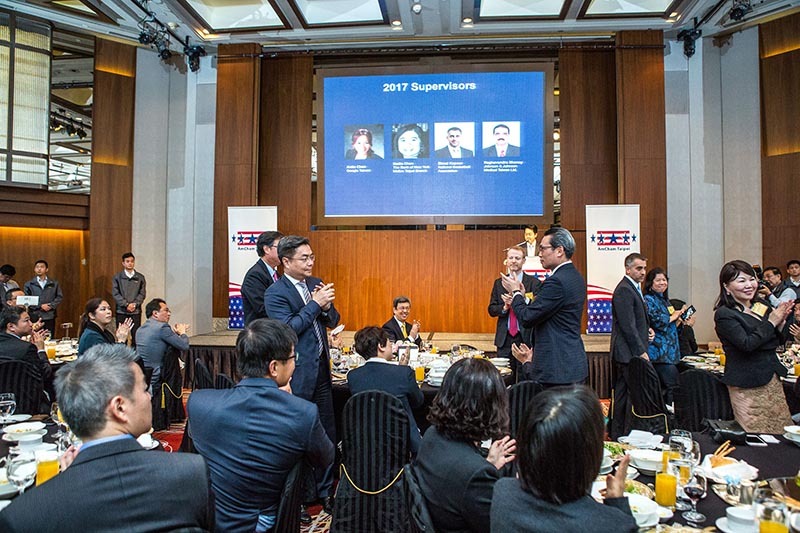 A video was shown of Andrea’s participation in AmCham events over the years, and Albert Chang praised her achievements on behalf of the Board and the membership as a whole. In brief remarks, Andrea expressed her gratitude to the Board for its support over the years and thanked the dedicated office team for their contributions. Chang also announced that the search committee had already selected a highly qualified successor as president, who is expected to take office in January.